Ada soalan mengenai Hotel du Nord et de l'Est? Sama ada anda melancong atau ke luar kawasan kerana kerja, Hotel du Nord et de l'Est merupakan pilihan penginapan hebat ketika melawat Paris. Hanya dari pusat bandar, lokasi strategik hotel memastikan tetamu boleh ke mana-mana sahaja dengan cepat dan mudah ke tempat-tempat tarikan. Persekitaran yang terjaga dan kedudukan berhampiran dengan La Chocofiserie, Canal Saint-Martin, Galerie Charlotte Norberg memberi hotel ini daya tarikan istimewa. 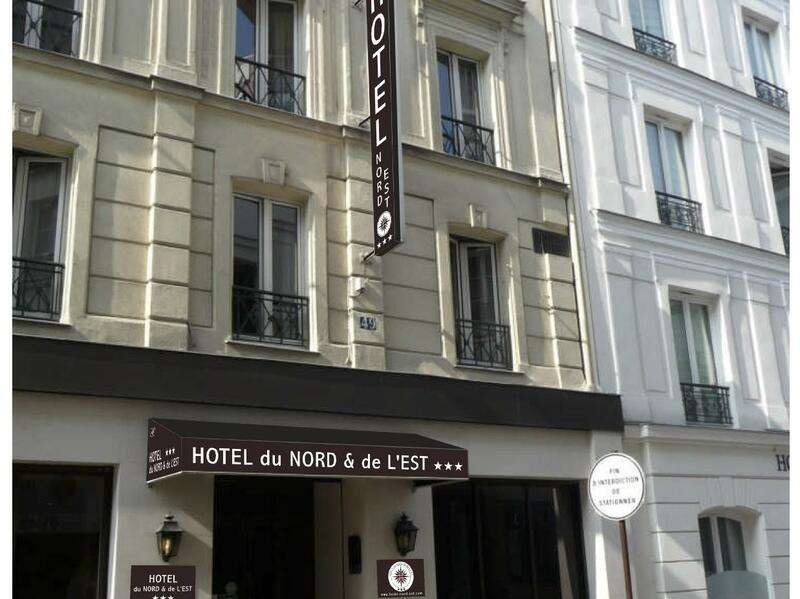 Hotel du Nord et de l'Est juga menawarkan banyak kemudahan untuk memperkayakan penginapan anda di Paris. Untuk keselesaan dan kemudahan tetamu, hotel ini menawarkan Wi-Fi percuma semua bilik, meja depan 24 jam, simpanan bagasi, Wi-Fi di tempat awam, khidmat bilik. Hotel ini mempunyai 45 bilik yang sangat cantik, setiap bilik dilengkapi televisyen skrin rata, karpet, linen, cermin, pengesan asap. Di samping itu, pihak hotel menawarkan aktiviti rekreasi untuk memastikan anda mempunyai perkara untuk dilakukan sepanjang penginapan anda. Temui gabungan yang menarik antara perkhidmatan profesional dan pelbagai kemudahan yang ada di Hotel du Nord et de l'Est. 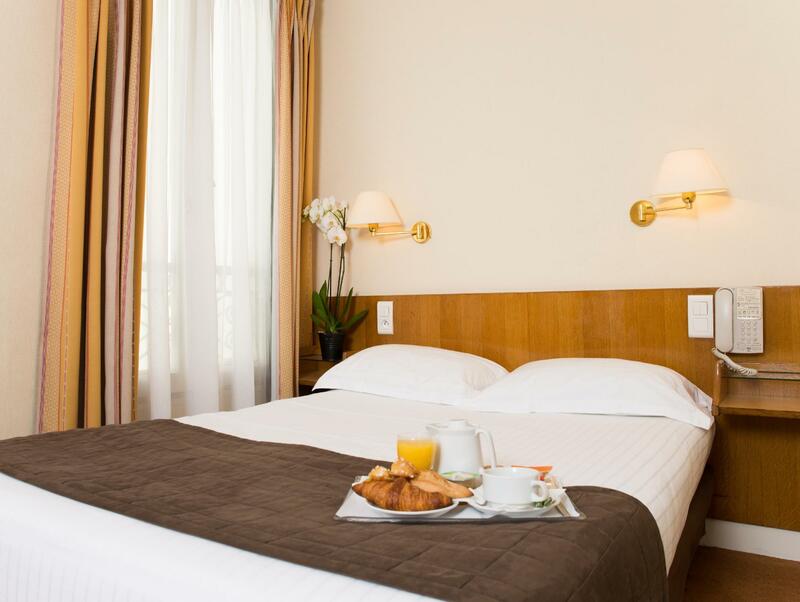 The location is so close to public transportation and the hotel itself is not bad at all. I stayed at this hotel for 4 nights, and my expectations were realistic, and the results were perfectly satisfactory. I see some reviews that complain about the size of the rooms/bathrooms, but they are very typical of a Paris hotel in this price range. The service was fine, the room I had was clean and served it's purpose. The 24hr reception is a plus. The breakfast was very basic but also pretty inexpensive - did the job! The wifi was not great in my room on the 4th floor, a bit slow and intermittent, but got there in the end. Overall, if you want a 4 or 5 star experience, this isn't it, but if you are looking for a well located, reasonably priced hotel, this hotel is worth checking out. Squalid: stained carpets and walls, dirty under wardrobe, no shampoos or basics provided, not even a new toilet roll but several nearly finished ones, airless dim corridors. Should be a one star hotel. 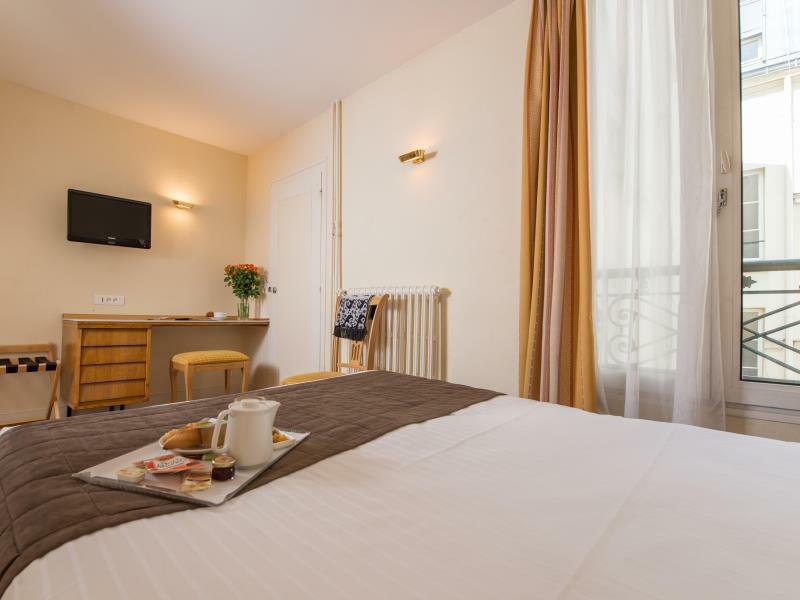 Overall this was a very good choice - the hotel is conveniently located near Place de la Republique for Metro connections and the area is full of restaurants and bars. Rooms were cleaned daily and the staff at the hotel was always very helpful with all our requests plus the free WiFi is a bonus. 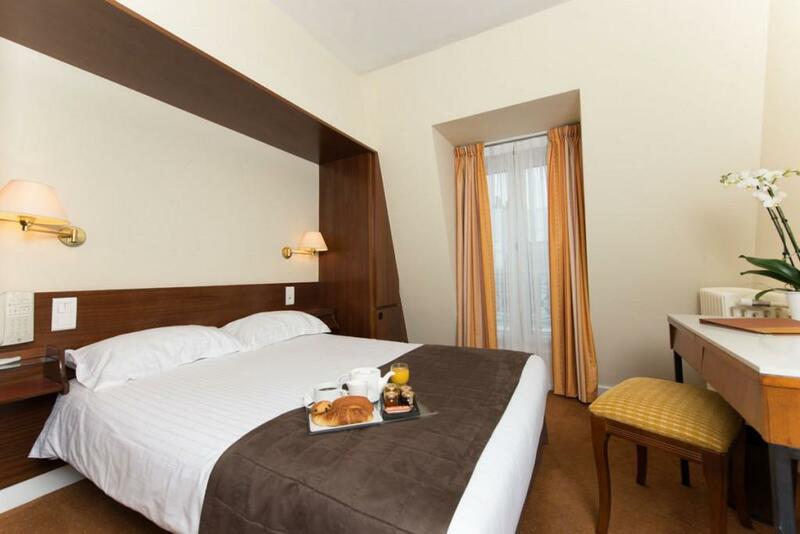 On the negative side, the rooms we were given (standard) are a bit dated and need a good refurbishment. 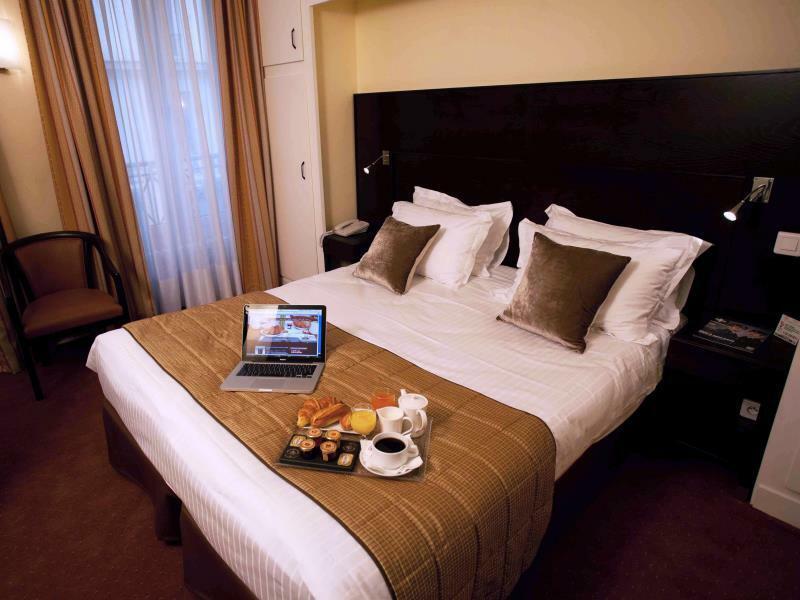 Nevertheless this hotel is a very good option for people who want to have a good base to experience Paris. the room was a bit small and the the temperature too high. For the rest we had a pleasant stay. Proximity to metro, restaurants, and sights. This is a small hotel but has all that is needed. Internet is very slow though, which is a minus for me. The hotel is close to a supermarket and many restaurants. Subway is also nearby. nice location. satff helpful. price is okay too. It's location is nearby the train station. Room is clean and also tiday. Hotel staff is nice and helpful. The breakfast is good too, etc egg , hamm pama, bread, juice, milk coffee which are unlimited refill. RThe price is reasonable when comparing with the quality and services. I would like to recommend to others.Rooms have nice view. The shower drainage is poor that is the only area need to improve! Generally, it is fine but the WIFI connection is not good as expected. Good experience but the wifi network and mobile signals are not strong enough, which cause certain problems with my mobile phone. Just be aware of the noise when upstair'r room flush the toilet. And the Metro is under the hotel, so you know when the train arrives at the nearby station. Housekeepers are too keen to work, even though we had the "Do not disturb" sign out on the door handle, they still service our room. 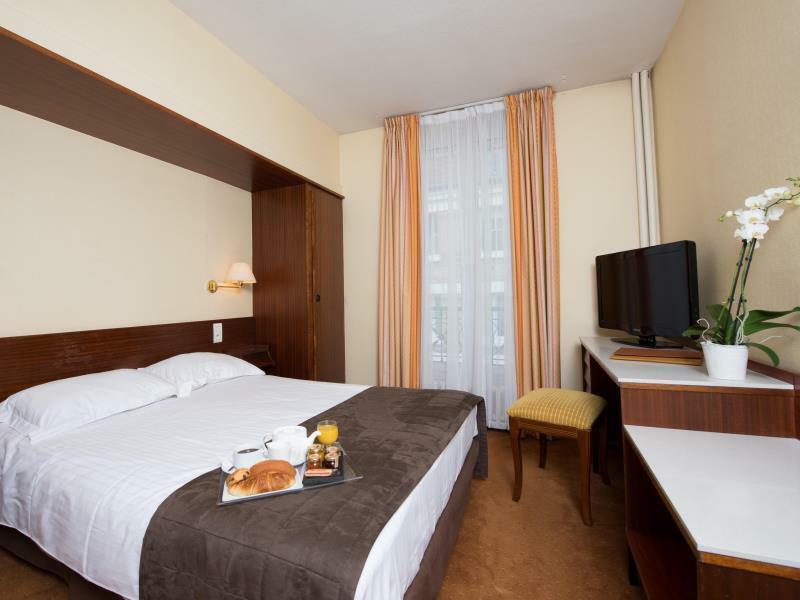 This is a basic hotel, but it is clean and has good location being right by a metro. The only drawback was that the walls are very thin and you can hear everything going on in the other rooms, but it was nothing we were too concerned about. Location is great. The surrounding area is not touristy. Feels like among the locals which is a plus. Between two Metro stations, Republique and Oberkampf. Walking distance to Channel St. Martin (opening scene of Amelie) and 2nd Chinatown. Restaurant Le Chemise across the road is excellent. Part-owner speaks English. Will stay in this hotel again.